“Iya dari pengembangan roket Lapan sebelumnya. Mereka sudah berhasil, peluncurannya sudah lurus. Cuman isiannya, pendorongnya itu masih dikembangkan terus,” ucap Kadispen TNI AU Marsekal Pertama (Marsma) Hadi Tjahjanto saat dihubungi, Jakarta, Selasa (25/02/2014). “2 atau 3 tahun ke depan isiannya atau propelannya itu sudah ditemukan akan dibuat uji coba lagi. Kalau memang bagus akan ditawarkan pada BUMN atau Bumnis (Badan Usaha Milik Negara Industri Strategis),” imbuh pria berkumis ini. Apakah pengembangan ini untuk rudal jarak sedang atau jauh? “Nanti kalau propelannya itu sudah teruji tinggal isiannya mau dibuat jarak sedang atau jauh. Kalau nama rudal nunggu sudah jadi baru dari BUMN dengan Kemenhan yang nanti ngasih nama rudalnya,” jawab Hadi. “Untuk 10 sampai 100 km itu perlu kendali jarak sedang, sekarang kita lagi diproses. Mudah-mudahan segera melengkapi sistem pertahanan kita,” kata Putu saat menerima 16 unit pesawat T-50i dari Korea Aerospace Industry (KAI) di Lanud Halim Perdakusuma, Jakarta Timur, Kamis 13 Februari 2014. As commercial technologies become more advanced and widely available, adversaries are rapidly developing capabilities that put our forces at risk. To counter these threats, the U.S. military is developing systems-of-systems concepts in which networks of manned and unmanned platforms, weapons, sensors, and electronic warfare systems interact over robust satellite and tactical communications links. These approaches offer flexible and powerful options to the warfighter, but the complexity introduced by the increase in the number of employment alternatives creates a battle management challenge. Current battle management systems often lack the benefit of automated aids to help comprehend and adapt to dynamic situations. Further complicating matters, in future conflicts U.S. forces may face degradation or denial of critical communications capabilities essential for coordination and shared situation understanding. With both the complexity of coordinating innovative systems of systems, and the sophistication of adversary capabilities expected to grow, automated decision aids become vital. “We’re looking for innovative algorithms from the planning and control theory communities that go beyond current algorithms, many of which assume assured communications in the tactical environment,” said Craig Lawrence, DARPA program manager. The program envisions two phases. Phase 1 focuses on technology development-planning, control, and situation understanding algorithms, and design of appropriate human-machine interfaces-and system engineering. Phase 2 plans for a team to build an integrated DBM capability to manage air-to-air and air-to-ground combat in a contested environment and to demonstrate that capability in large-scale simulation and live fly events. Defense Secretary Chuck Hagel has proposed cuts in military spending that include further reductions in troop strength and force structure in every military service in the coming year as part of an effort to prioritize U.S. strategic interests in the face of reduced resources after more than a decade of war. At a Pentagon news conference today detailing President Barack Obama’s proposed Pentagon budget for fiscal year 2015, Hagel called the reductions — including shrinking the Army to its smallest size since before World War II and eliminating an entire fleet of Air Force fighter planes — “difficult choices” that will change defense institutions for years to come, but designed to leave the military capable of fulfilling U.S. defense strategy and defending the homeland against strategic threats. Under a Pentagon budget that will shrink by more than $75 billion over the next two years — with deeper cuts expected if sequestration returns in fiscal year 2016 — Hagel and other senior defense and military officials acknowledged that some of the budget choices will create additional risks in certain areas. Some of that risk, Hagel said, is associated with a sharp drawdown in the size of the Army, which the proposed budget calls for reducing to as low as 440,000 active duty soldiers from the current size of 520,000, while ensuring the force remains well trained and equipped. The budget request calls for special operations forces to grow by nearly 4,000 personnel, bringing the total to 69,700, a reflection of the asymmetrical threats the nation is likely to face in the future, Hagel said. The proposed budget also envisions a 5-percent reduction in the Army National Guard and Army Reserve. “While it is true that reserve units are less expensive when they are not mobilized, our analysis shows that a reserve unit is roughly the same cost as an active duty unit when mobilized and deployed,” Hagel said. In addition, the Army Guard’s Apache attack helicopters would be transferred to the active force, while Black Hawk helicopters would be transferred to the National Guard, part of a broader realignment of Army aviation designed to modernize the fleet and increase capability. Within the Air Force, the defense budget calls for saving $3.5 billion by retiring the A-10 fleet and replacing it with the F-35 by the early 2020s. “The A-10 is a 40-year old, single-purpose airplane originally designed to kill enemy tanks on a Cold War battlefield,” Hagel said. “It cannot survive or operate effectively where there are more advanced aircraft or air defenses.” In addition, the service also will retire the 50 year-old U-2 surveillance plane in favor of the unmanned Global Hawk. Hagel warned that much deeper cuts in Air Force structure and modernization will be necessary if sequestration is not avoided in 2016. The Defense Department is asking Congress for another round of base closings and realignments in 2017. Hagel said most of the recommendations in the budget were accepted by senior military officers. Addressing reporters alongside him, Army Gen. Martin E. Dempsey, chairman of the Joint Chiefs of Staff, said the spending plan reflects a balancing of the military while ensuring it remains the world’s finest. “It reflects in real terms how we’re reducing our cost and making sure the force is in the right balance,” Dempsey said. Dempsey and Hagel will testify on the budget before Congress next week. Lawmakers will have the final say on spending decisions. “This is the first time in 13 years we will be presenting a budget to Congress that is not a war footing budget,” Hagel noted. 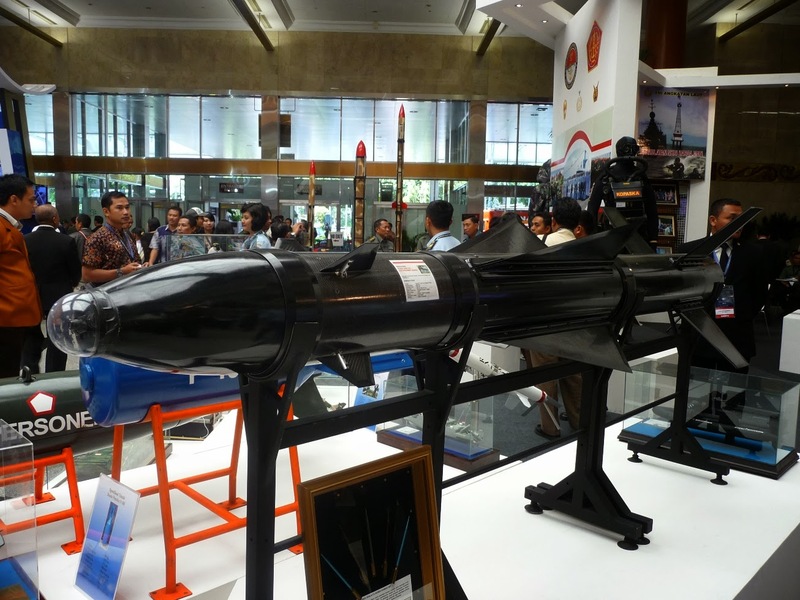 “Development and production of Akash weapon system with the active participation of DRDO labs, Public Sector Units (PSUs), Ordnance Factories, National R&D Laboratories, academic Institutions and about 200 private industries is yet another symbol of India’s strength in making indigenous weapon systems”, stated Shri Avinash Chander, Scientific Adviser to Raksha Mantri and Secretary Dept of Defence R&D, congratulating the production agencies, Indian Army and DRDO team. “The successful trials show the continuing excellence of Indian weapon systems”. Akash is India’s first indigenously designed, developed and produced air defence system Surface to Air missile capable of engaging aerial threats upto a distance of approximately 25 kms. The multi target, multi directional, all weather air-defense system consisting of surveillance and tracking radars, control centers and ground support systems mounted on high mobility vehicles for the “Army” version of Akash is designed to enable integration with other air defense command and control networks through secured communication links. The total production value of Akash air defence systems cleared for induction by Indian Army and Indian Air force is more than Rs 23,000 crore. Sh. G Chandramouli, Project Director Akash supervised the overall trial operations in the presence of senior army officials and officials from BDL and BEL who are attending the trials. Lockheed Martin has recently demonstrated the Joint Air-to-Ground Missile (JAGM) dual-mode guidance section engaging a laser-designated moving target during an internally funded flight test at Eglin Air Force Base, Fla. The rail-mounted JAGM guidance section flew six kilometers, engaged its precision-strike, semi-active laser and hit the moving target. The flight test, which was part of Lockheed Martin’s internal research and development program, is an important risk reduction milestone critical to Lockheed Martin’s performance on the U.S. Army’s 27-month Continued Technology Development (CTD) program. “This flight test demonstrates the maturity of Lockheed Martin’s JAGM solution, and our readiness to enter production upon completion of the Army’s CTD program,” said Frank St. John, vice president of tactical missiles and combat maneuver systems at Lockheed Martin Missiles and Fire Control. Prior to the flight test, Lockheed Martin completed an extensive Critical Design Review demonstrating that the dual-mode design meets all customer-specified requirements. The dual-mode seeker features the HELLFIRE precision-strike semi-active laser and the all-weather fire-and-forget LONGBOW millimeter wave radar sensors demonstrated in prior JAGM guided flights. Lockheed Martin’s JAGM guidance section will be manufactured on the existing HELLFIRE production line. The modularity and open architecture of Lockheed Martin’s JAGM design readily support a low-risk spiral to a tri-mode seeker, should the Army’s Incremental Acquisition Strategy require it in the future. Platforms for JAGM include the U.S. Army’s AH-64 Apache attack helicopter and MQ-1C Gray Eagle unmanned aerial system. Lockheed Martin’s JAGM is also compatible with other HELLFIRE platforms. The helicopter industry has been marked with notable ups and downs in 2013, both requested orders in transitioning economies and terminations in the West, such as in North America, the largest helicopter market in the world. The dialogue between industry and customers is therefore becoming increasingly challenging, blurring potential opportunities for OEMs on the short and medium term. A new Frost & Sullivan Market Insight, “Global Helicopter & Systems Market: Capturing Growth Opportunities across the Rotorcraft Industry”, highlights the progressive decrease of helicopter deliveries across Western Regions, while substantial growth is registered in Asia-Pacific, Central Asia and the Middle-East – as part of these regions’ military modernization program and investments in civilian infrastructure. In the context of the existing biggest helicopter fleets, North America and Europe hold the most significant opportunities when it comes to aftermarket support, with a notable CAGR of 2.59 percent in North America between 2014 and 2022. The cumulated market size across North America is expected to account for $58.05 billion, whereas European aftermarket support will reach at least $23.1 billion. The ongoing platform renewal cycle initiated ten years ago is presently driving several opportunities among different services segments. In the light of shrinking budgets, platform retrofit is being preferred against new platform acquisition across Western military and paramilitary end users. As a result, system integration opportunities during platform upgrades are expected to rise steadily at a CAGR of 2.71 percent in North America and 4.3 percent in Europe. Both regions present an aggregated market size of $9.37 billion for 2014-2022. On the other hand, helicopter maintenance and upgrades present interesting prospects in the medium term for new systems adoption, with avionics and mission systems. However, the line between platform acquisition and maintenance business models is becoming increasingly blurry in the Western regions, and market players are currently working on new business models options. Emerging markets comprise significant opportunities among new helicopter procurements, with a forecast market size of $146.84 billion between 2014 and 2022 for military and civil new platform deliveries, and a related market size of $46.33 billion for service support during the same period. Price sensitivity is one of the most significant challenges being assessed by potential buyers, closely followed by technology transfer issues. Budget constraints and foreign military sales (FMS) also trigger potential new strategies from U.S traditional FMS packages. Reinforcing bilateral trade and R&D could be one way to meet offset and foreign investment policies for emerging helicopter OEMs and system integrators. Other approaches may include implementing the theoretical concept of open innovation at the platform system level, or strengthening ties across helicopter logistic and maintenance support through common distribution channels.